This was the first recording that Albert Vinasco made(pictured in lower right hand corner). He played bass guitar along side his brother, Alex who played lead guitar. 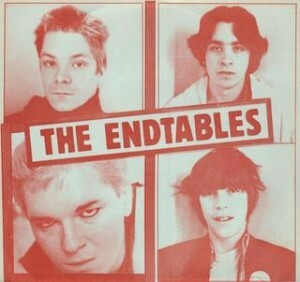 It was 1979 and The band was "The Endtables". The original 6 song EP that forged a new sound and shocked an already shocking scene, "The Endtables" is being re-released by Drag City Records on April 20th, 2010 with all 6 original studio recordings, plus 6 newly mixed and mastered lives songs, a live video and a wonderful booklet about the band and the scene in the words of those who lived it.